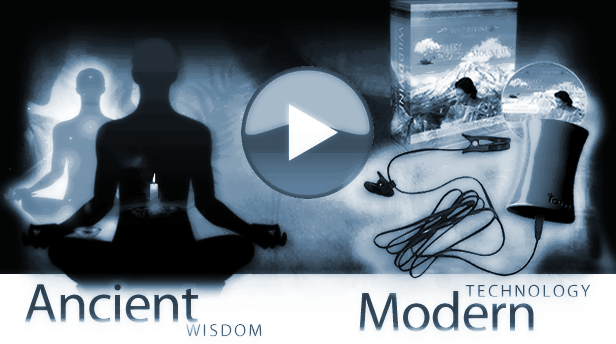 The Journey to Wild Divine is one of the best ways that I’ve found to learn to use meditation in every-day life. It makes things much easier and faster. Most people spend 90% of their time on autopilot, strapped to the stress of every day life. Recent studies suggest simple meditation and mindfulness can help you jettison your autopilot and fly. The list is scary, but just because you have stress in your life does not mean that you’ll experience these illnesses. More likely, you’ll just have a diminished quality of life. You might be agitated, irritable, feel “down and out”, and just not enjoy the life you could be living. I know because I used to suffer from stress. It wasn’t my fault, but I just lacked the proper tools to deal with it. That’s why I’m writing this specifically for you. Learning to Meditate and Practice Mindfulness Helped Me Change My Reaction To Stress and As a Result, Changed My Life. Have you ever been so stressed out that you feel like you’ll crack like an egg? Maybe you feel like you’re a pressurized gasket ready to blow? It’s not that you’re angry, but you’re overwhelmed. You try to think but your mind is so cluttered and your thoughts just don’t stop racing. You are worrying about things that you know you shouldn’t, but you feel trapped and can’t help it? Maybe you’re not where you want to be in life and that’s got you down? Or, maybe you think there’s more to life than eating, working, sleeping, and shopping? I know. I’ve been there, and for way more time than I should have. Then, just when things feel at their worst, you get some immediate relief. In a flash your stress melts away. You feel light as a feather, and your cares vanish? The world seems distant and it’s like you’re behind your body, controlling it like a puppet, but somehow above it? It lasts for a second, then it’s gone again. What’s the first thing you can do to activate the relaxation response and or experience the meditative state? This deep relaxation is not only activated by chance. You can learn to activate this on your own using some simple but effective techniques. There are many of these, but the following works well for me. Sit quietly when you have a free moment. Slowly breathe in for a count of seven. Hold the air in for a short and comfortable moment. Slowly breathe out for a count of eleven. Repeat for three minutes or so. After three to five minutes of this, see how you feel. I learned about the relaxation response by chance while scouring a library for hours looking for a cure to my crushing stress. As it turns out, distress is a perfectly normal response and is good at keeping us alive and functioning. In the past, when a lion jumped into our path, we had an immediate reaction that kept us alive. We experienced the fight or flight response. This is all well and good, except when it happens time and time again when there is no real danger. It is in effect, left on. This is when our minds fantasize and worry about things in the future, or regret things in the past. The big problem happens when this system is always active. Our sympathetic nervous system doesn’t get a break. The only thing that stops the sympathetic nervous system is our parasympathetic nervous system, which activates the reverse of the above. It effectively neutralizes the fight or flight response and calms us down. It’s called our relaxation response. Ultimately, we want to be there most of the time as it promotes healing. The problem is, not many of us are there, ever. Common methods that may activate the relaxation response. Soak In Hot Water Temporarily relieve your muscle tension. Elevate your body temperature to help kill off germs. Opens pores to release toxins. Get A Massage Release tension points in your muscles. Help increase blood flow. Take a Walk Exercise gets the circulation going. Relieves stress buildup. Progressive Muscle Relaxation Spot reduce muscle tension knot points. These techniques are all great. They all work to varying degrees, and provide immediate relief. However, there is one thing that can replace all of the above, or incredibly enhance them. It’s in learning meditation and mindfulness practice. Could practicing mindfulness and meditation revolutionize your life? Meditation can directly activate the relaxation response. This can stop stress and the ill effects cold in their tracks. It can help us quiet our minds and relax our bodies enough for the relaxation response to kick in. Mindfulness helps with meditation in that it gets us to live in the present moment. To let go of things that bother us so that we can meditate deeply and activate the relaxation response. Less stress and more calm – we are able to activate the relaxation response often. Mental clarity – we learn to focus on what we want without monkey-mind distractions. Less fatigue – stress burns us out, so less of it means more energy. Better sense of well being – the relaxation response feels gooooood. Better ability to focus – we cut the clutter in our minds. Less anger – learning to live in the present moment negates disappointment. Less prone to making bad decisions – we see things much clearer. Eating better – our cravings diminish. Less attachments and aversions – we feel less of the push and pull of things. Better understanding of yourself – you’ll know yourself on a deeper level. Meditation is easy to learn and is incredibly effective for stress reduction and learning to see the present moment, but can take a long time to master. You can certainly learn to meditate by yourself at home, but it can be much more difficult than having a teacher or guide. Don’t let this get you down though. Read on, the solution is here. While learning meditation can be done in a few hours, practicing it can be a difficult task. Some techniques that you might come across on your own can even be downright dangerous, like those involving controlled breathing. While these techniques can be very effective, they can also wreak havoc on your well being if performed incorrectly. That’s why having a teacher or a guide is beneficial. They can keep you safe and secure. Not only that, but a teacher or guide can let you know when you are doing the techniques correctly and not flying blind. They can help you modify your path and chart your progress. The downside to this, of course, is that good teachers are sometimes very difficult to find. Many exist inside spiritual traditions that you might not want to be a part of. Other times, they may be expensive, especially in this weak economy. Luckily, there are some home based solutions out there for learning meditation and relaxation. They must, however, meet certain requirements for me to recommend them to you. Classical Education Internet Based or Book Based You are the boss. You set your own pace and schedule. No interaction with any type of teacher or guide. No great way to tell if you are making progress or doing something wrong. Book Learning Reading You can work at your own pace. No interaction with any type of teacher or guide. Limited ability to see your errors. Self Teaching Internet Based or Book Based You are the boss. Technological Help Interactive Programs Hit different aspects of learning. Can save and track progress. Can have video, audio, text, graphical, and animated instruction. Can guide you. No immediate teacher available. Can be difficult if you are not good with computers. Is connected to a computer. Not very portable. Efficient in many ways. No immediate teacher available. These techniques are all great and can yield powerful results on their own. Together though, they are way more powerful and can shave years off of your learning curve. This means that you’ll be able to experience the benefits of meditation much faster. If you could design the ultimate piece of meditation technology what would YOU do? What would you need or want to make it work for you? Ability to teach me time tested techniques. Way to let me know when I’m doing things wrong. Way to let me know when I am progressing. Way to let me set my own pace. Have it be interesting and fun to use. Must not take up too much time, as I don’t have much. Have it be cost effective. Be small enough to store at home. These are a few of the basics that I’d look for in a product geared toward learning meditation. Anything less than this would not work for me. These are my must haves. With the above must haves, it would be difficult to find something that lives up to these requirements. Sometimes, when I can’t find a solution to something, I make my own. This is both time intensive and cumbersome. Fortunately, there’s already a product on the market that does what I require. It’s called the Journey to Wild Divine, and I own it and use it. This is a software and hardware solution that measures your response to stimuli presented to you in a game format. It is completely interactive and uses a human interface device to measure your physiological response. What this does is tell you when you are relaxed and when you are not. Let’s you know when you are not doing things correctly. Let’s you know when you are making progress. Is fun, entertaining, educational, and effective. Costs far less than some teachers charge. Fits in a small box. There are other products out there like StressEraser and EmWave, but I find that these are more static and non-organic. They can measure similar physiological responses, and can be a bit more portable, but don’t provide the interactive element that teaches you to be able to use the techniques outside of the technology. Studies have shown that we learn better when things are engaging, interactive, and performed repeatedly under different situations. It’s the situational learning aspect that makes the Journey to Wild Divine so effective. It’s both a game and a learning module in one. You have to be relaxed and in a meditative state to pass certain levels and progress in the game. The instructors on screen teach you how to do that, then test you. The real benefit is that aside from the technology, it teaches you skills that you can use away from the computer, anytime and anywhere you need them. When you use them in the game, you’re under a little bit of “pressure” to perform under stress, with no stress. This works well for those sutuations that arise day to day where you would want the right tools to handle stress, immediately. We all have learning preferences. To assume that we all learn the same way is a mistake. We can’t all read directions and apply them to what we need to do. The same is true with meditation, ESPECIALLY when we are learning on our own with the help of technology. While most of us can learn in a few different styles, we usually prefer one. The following explains these types briefly. Visual (Sight) – learn primarily by seeing presentations and material. Auditory (Hearing) – learn primarily by hearing presentations and material. Kinesthetic (Tactile) – learn primarily by doing what’s presented. These points infuse the product into each learning style. This creates a easily digestible plan that will catapult your meditation and relaxation ability. I found that after using Journey to Wild Divine for just a short time, my meditations felt much deeper and I felt an overall sense of calm in my life, even when facing down stressful situations. Learning to meditate can be a deeply personal experience. There are many ways to learn to relax and meditate. It’s often up to the individual whether they want to go on their own or have a guide. Either way ends at the same place, eventually. That said, you can shave months to years off of your learning curve and quickly integrate meditation into your life. You can do it in short bursts of seventeen minute sessions using the Journey to Wild Divine. These short bursts are not only effective and don’t take much time, but they are focused on giving you skills that you can use on the street in everyday life, where it counts.